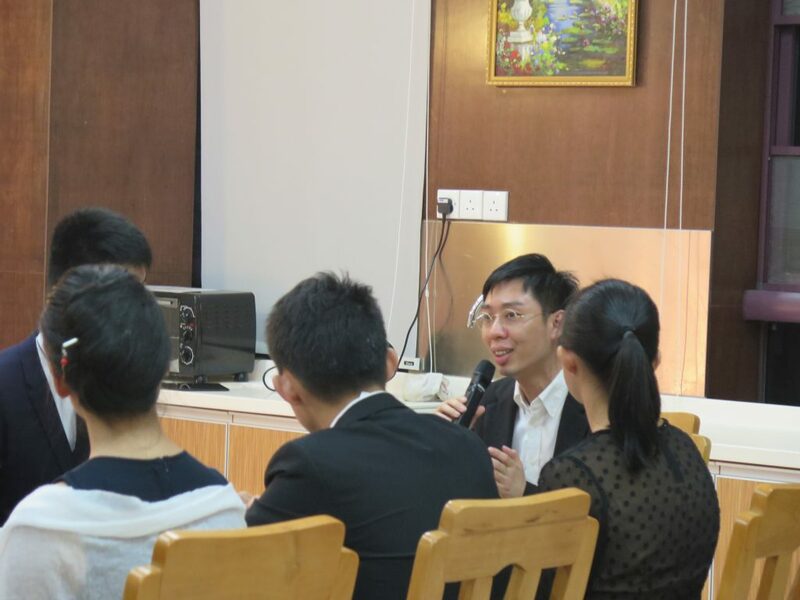 The Alumni and Development Office (ADO) has invited the Cheng Yu Tung College (CYTC) and Stanley Ho East Asia College (SHEAC) for joining “Alumni Visits to RC Series”. Alumnus Mok Hei Sai (Class of 2004, B.A. in Chinese Language and Literature), a local poet and Calligrapher, and Alumna Li Ruoying, Laura (Class of 2010, B.A. in Communication), an anchor at Macau Lotus TV were invited to be guest of the “ Dinner with Master” respectively. In addition, Alumna Alice Kwan (Class of 2009, B.B.A. 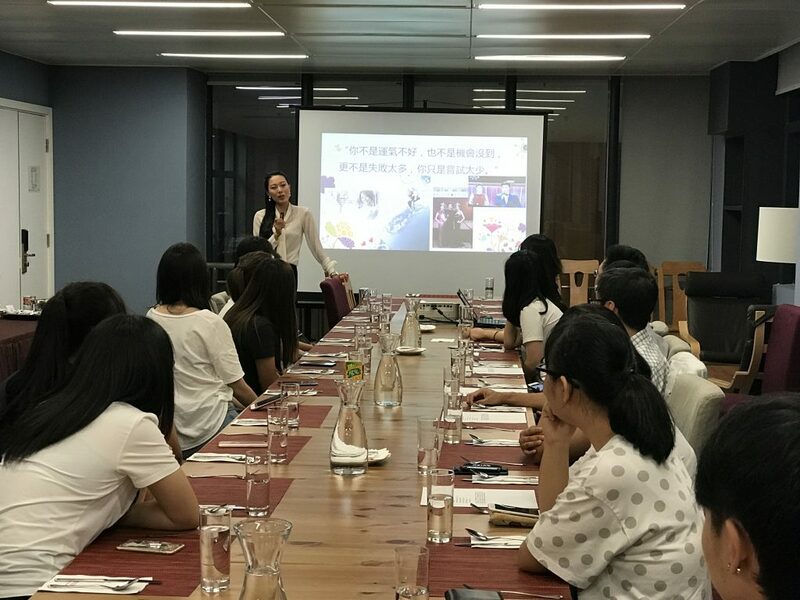 in Marketing), the President of the University of Macau Faculty of Business Administration Alumni Association (UMFBAAA), and Alumna Erika Kam (Class of 2013, B.B.A. 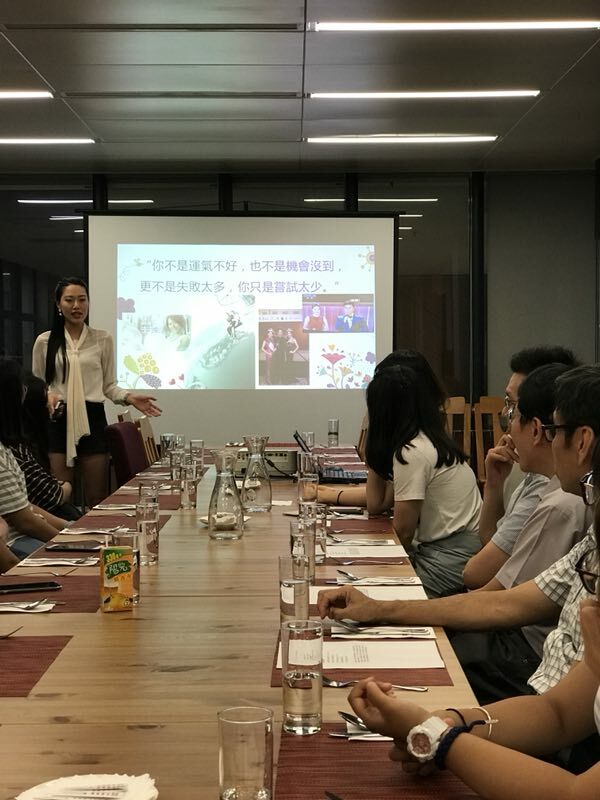 in Business Economic), Council President of UMFBAAA also joined the “Dinner with Alumni” activity with Cheng Yu Tung College. 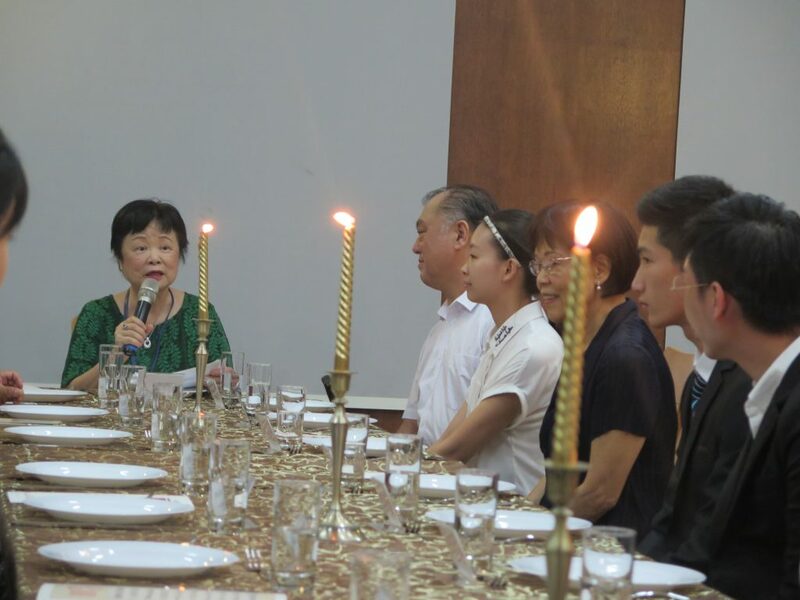 Alumnus Mok Hei Sai was invited to “Dinner with Master” at CYTC on 21 Sep. and received by Master Prof. Chung Ling. 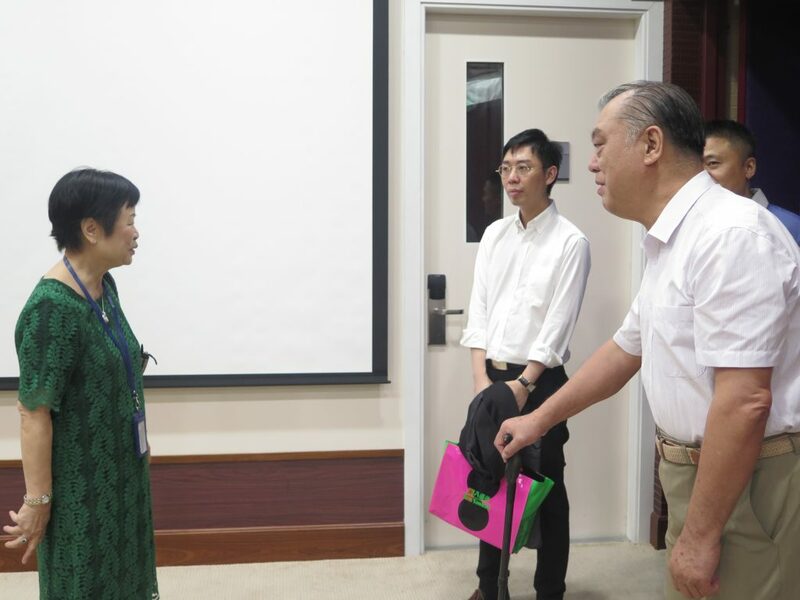 After touring RC by Prof. Chung, Alumnus Mok and Prof. Wang You Quan, Artist-in-Residence shared the calligraphy experience with each other and then together with master, guests from faculties and around ten students to join the dinner. Alumnus Mok shared his journey of how he became a poet and calligrapher. 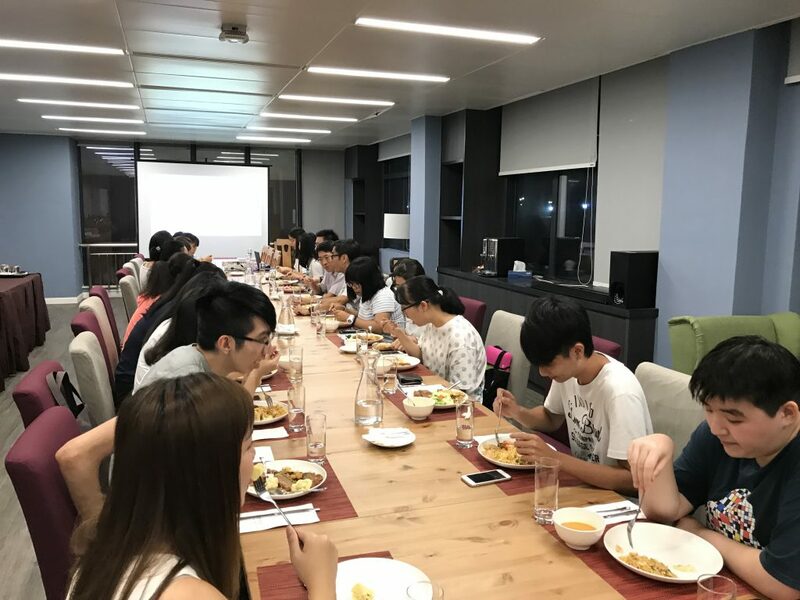 Alumna Alice Kwan and Erika Kam were invited to have dinner with CYTC students on 25 Oct. A tour to CYTC was arranged for the representatives of alumni association and guided by Associate Master Dr. Wee Keng Lee, for a better understanding of the RC system and the whole person education approach. 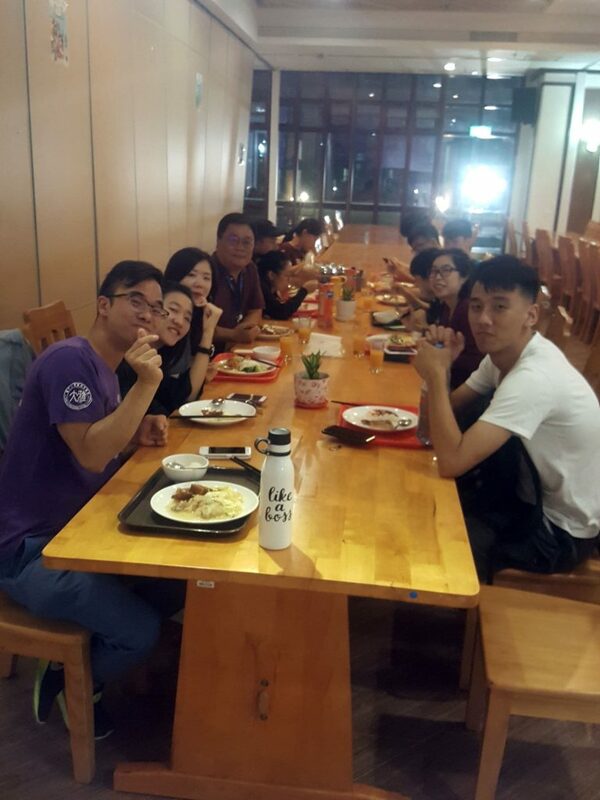 Afterwards, they were invited to have dinner and meet with students here. 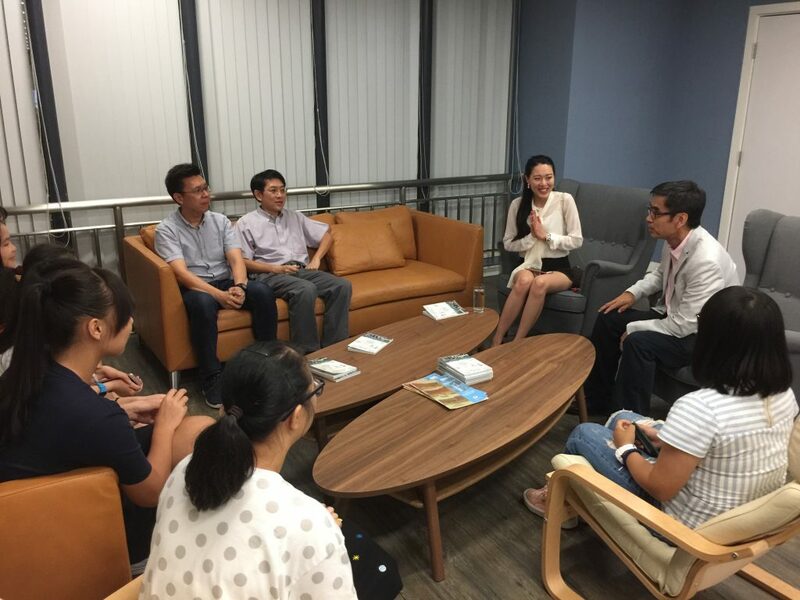 Alumna Li Ruoying was invited to “Dinner with Master” at SEAC on 25 Sep. and received by Master Prof. Iu Vai Pan and RC representatives. 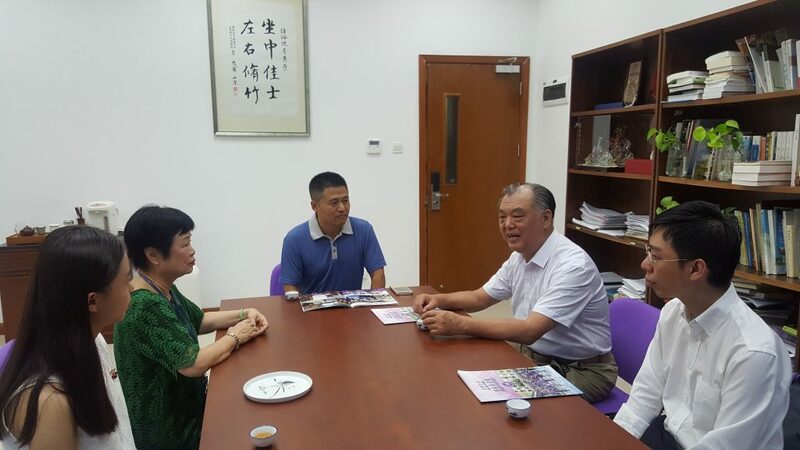 Alumnus Li felt a warm feeling to this college as she also resided in East Asia building at the old campus. 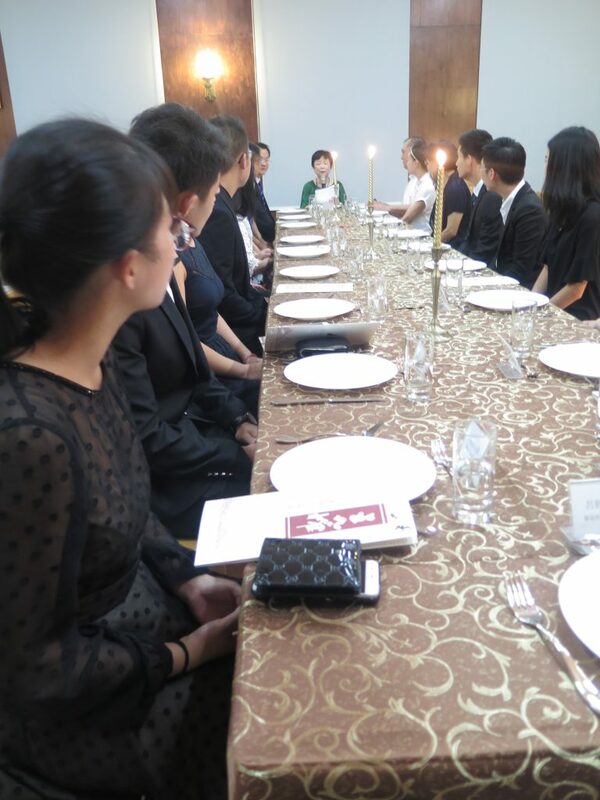 After the touring, she joined the dinner and shared her work experience of TV anchor and emcee. Both alumni said they didn’t have an opportunities in joining this kind of dinner at their time as a student. They felt exciting and honorable to dine with UM management. What’s more, they think the dinner provided a platform for students to learn social skills and table manners.